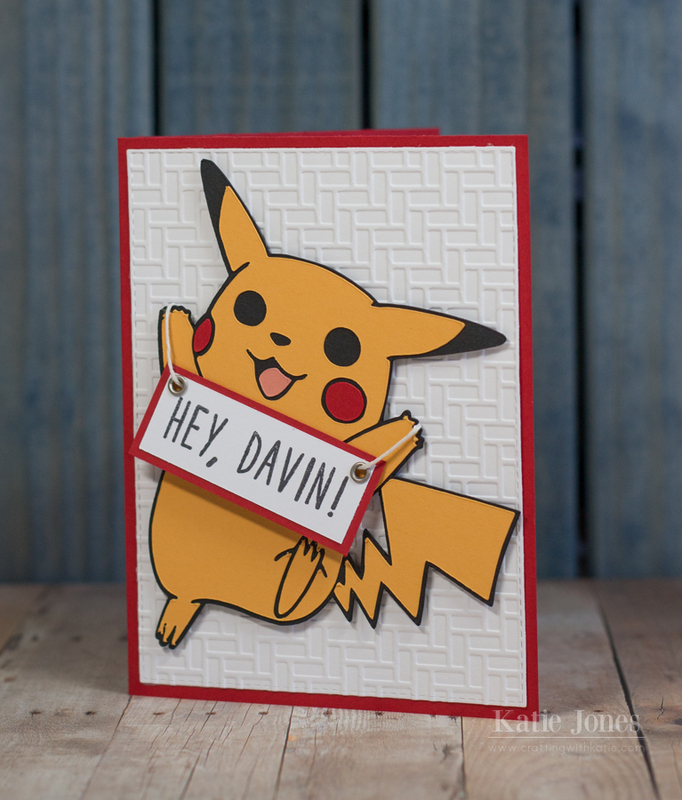 My nephew is really into Pokemon right now, so I made him this card for his birthday. I imported a Pikachu SVG into Cricut Design Space and then made a little sign and stamped my sentiment on it using My Creative Time's Alpha Pack stamp set. I used the same stamp set to stamp "Happy Birthday" on the inside of the card, but I forgot to take a picture of that. The white background layer was cut using one of the MCT Stitched Rectangular Frame Dies and then embossed with the Cuttlebug Bricks embossing folder. He is so fun. Your nephew will love Pikachu! LOVE it and so will your nephew! Awe Katie ~ this is just too CUTE!! LOVE how you used something he likes and then personalized it! Happy belated Davin! !